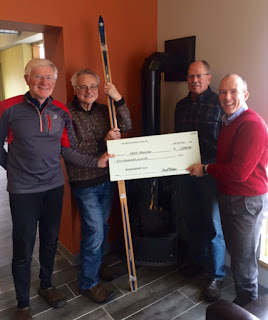 This was just published in the December Holiday Edition of the American Birkebeiner Carpe Skiem. Gale Otterholt, Birchleggings Club President, Tom Rowley, Vice President, and John Kotar, Board Member and Birkie Founder present ABSF Executive Director Ben Popp with a check for $2,000 for exhibits at the Tony Wise Museum of the American Birkebeiner. The Club has joined forces with ABSF to raise money for the Museum in a unique way that will help the Club grow and build support for the museum. Those who took advantage of the complimentary membership offer will be included in the Club’s own membership drive incentives, which includes drawings for prizes, including race-day parking passes. 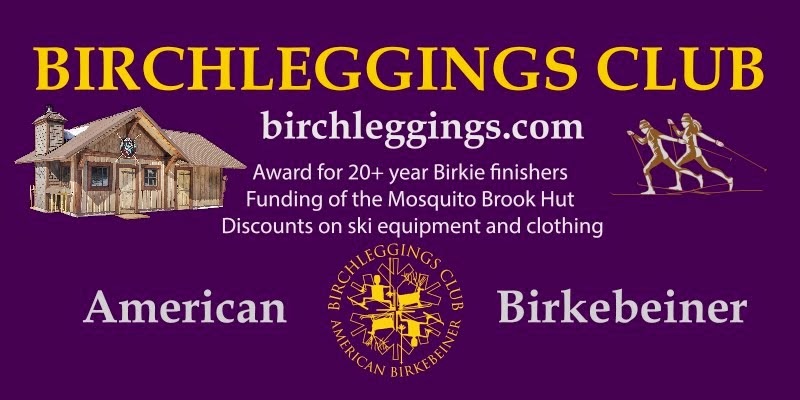 In early November, letters were sent to all skiers who’ve completed 20 or more Birkebeiners. Please contact the ABSF (715-634-5025) if you did not receive a letter, or need a replacement or other information. Contributions may be made at www.birkie.com/museum. In addition to the aforementioned perks, Museum Founders will be permanently recognized in the Museum, and receive a nifty plaque, a nice addition to those twenty, thirty, and forty year awards in one’s trophy case.